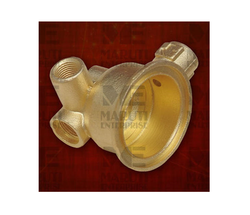 We are india's leading manufacturer, supplier and exporters in brass selonide valve. our main mission is give quality and benefit to our customers. We provide a wide range of high quality Brass Solenoid Valves. These products are manufactured using superior grade of materials and ultramodern machines. Available in various specifications, these products are used to start, stop and direct flow functions of gas. We offer gas solenoid valves, which is not only light in weight and easy to install but is also cost effective and highly durable. These are made with precision and accuracy so that they meet the increasing demands. A solenoid valve is an electromechanically operated valve. 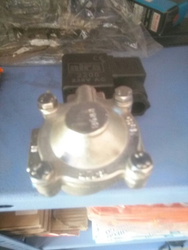 The valve is controlled by an electric current through a solenoid: in the case of a two-port valve the flow is switched on or off; in the case of a three-port valve, the outflow is switched between the two outlet ports. Poppet Type Solenoid Valve, Size: 1/4" And 1"
Size: 1/4", 1/4", 3/4", 1"
AL-TECH CENTRIFUGES offers complete reconditioning and testing of Alfa-Laval and Westfalia control units for purifiers and separators.